The 2018 Toyota Yaris is all set o launch in India this May. Bookings for this Honda City and Maruti Ciaz rival are already open. The Yaris is going to offer eight segment first features in India. We have informed you in an earlier report that the Toyota Yaris is going to launch in India by the month of May this year. Bookings for this mid-size sedan is already underway. The dealerships are taking a refundable booking amount of INR 51,000. 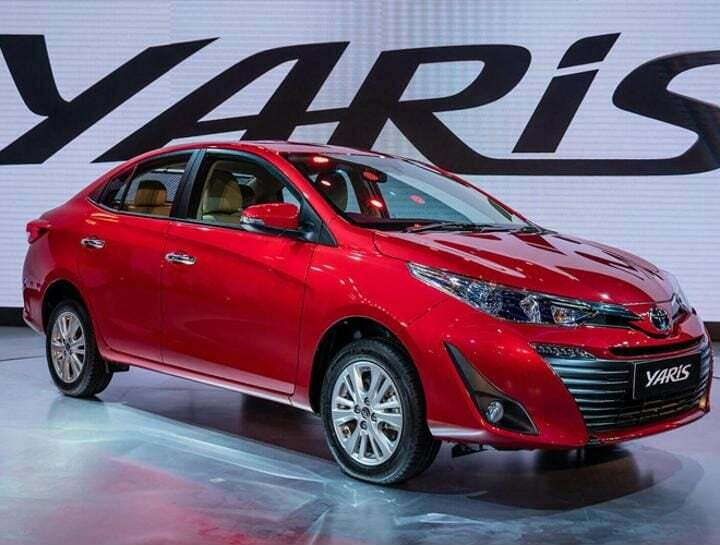 We are already aware that the Yaris will launch in India only with a petrol engine. Furthermore, in addition to a manual gearbox, it is also going to come with a CVT automatic unit as well. Now, curtsey a Team-BHP forum member, the details regarding the variant information of the 2018 Toyota Yaris are out. Going by this information, the Yaris will launch in India with a total of three variants. These are G, V and VX. That said, the status of the G trim is still not confirmed. The vehicle is already in production. Consequently, expect the car to reach showrooms by the end of April this year. The Toyota Yaris is going to come with a 1.5-litre, 4-cylinder petrol engine. This motor will produce 108 BHP of power along with 137 Nm of peak torque. The sedan is going to get a 6-speed manual gearbox as standard. Furthermore, the mid-size sedan is also going to come with a 7-step CVT gearbox. We expect the Yaris to fall in the price range of INR 8 lakh to 13 lakh. Hence, it will sit in-between the Etios and the Corolla Altis in Toyota’s model line-up. It will compete in the mid-size sedan segment in India. Consequently, it will pitch against the likes of Honda City. Maruti Ciaz and the Hyundai Verna.